Did you know unlike other big app WhatsApp has never spent any money at all for advertising purpose and is now the most prominent social messaging app in the world. Facebook bought WhatsApp for a whopping 22 billion dollars and today people are more likely to use WhatsApp instead of Facebook or any other social messaging app. Always have permission to try these tricks out if you are not using your own device or account!! WhatsApp without using your mobile number. 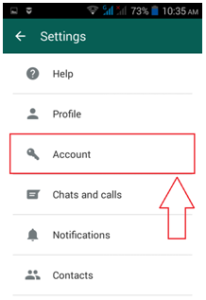 You can use WhatsApp without any mobile number, no matter if your phone has a SIM card or not you can still install it on your phone and use it. Step 1: If you have already installed WhatsApp then uninstall it and Reinstall again on your Device. 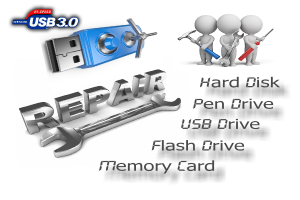 (You may backup your existing data first). Step 2: WhatsApp will ask you for verification. The trick here is – simply put your phone on Flight Mode. Step 3: Open WhatsApp and enter the number which you have set in Flight mode. After you enter your mobile number WhatsApp will try to call the number, but as it is in flight mode they won’t be able to do so. Step 4: Now you need to go for the second verification method which is “Verification through SMS”, now enter your email details and click on the send button. Step 5: Click on the cancel button before it gets completed. Step 6: Install Spoof Text Message app for Android and Fake a Message - for iOS. Step 7: After you install the app for the device you own, go to the Outbox and copy the message and send it to Spoof app, you can view the message details below. Step 8: a message will be send to WhatsApp and your account will be verified. Now you can use your account without any mobile number. How to know when someone read your message. Step 1: Go to the conversation chat window of and keep the message pressed for a few seconds. Step 2: On the top there is an “i” (information) icon. 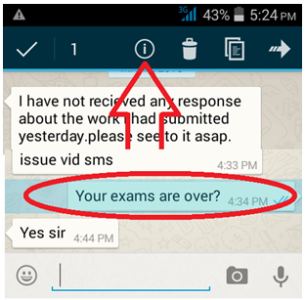 Click it and you will see when he or she read your message. Note: this does not work when the person turned off his / her read notification settings. 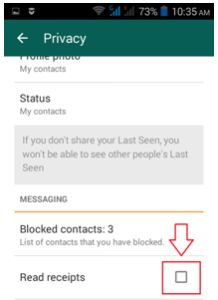 You can stop whatsapp from showing someone else your read notification so no one can find out if you read their message or not. The only disadvantage is that once you check this option, you also cannot determine when your message was read by other contacts as well. Step 1: Open your WhatsApp and tap the three vertical dots icon on the top right of your screen. Step 2: Now move to Settings > Account > Privacy. Step 3: Uncheck Read receipts. Do keep in mind that this tip does not work with group messages, as read receipts are always on for group chats. You can use the Airplane Mode feature of your Smart phone to prevent the read receipts from getting sent. So let’s say that your notification bar says that you have a message. Step 1: Do not open or display the message! Step 2: You have to turn on the airplane mode setting and then re open the app to read your message. 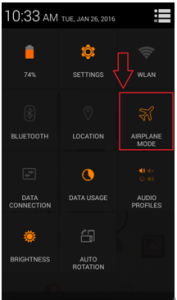 Step 3: Close the app while the airplane mode is still on. That should work. Unless you open the app again while the network is available, your read receipts will not be sent and the person will not know you read their message. Hide last Seen on Whatsapp. With this trick you can hide when you last checked your messages. This becomes handy if you want to remain anonymous about your whatsapp behavior. Step 1: Borrow your friends’ android phone which you want to spy for just one minute. Step 3: Note down the mac address. Keep the phone for few more minutes. Step 4: Now go to your phone (or any other ‘spy’ phone) and uninstall whatsapp if it’s installed already. Step 5: Change your Mac id to your friend’s one by spoofing mac. Step 6: Now Download and install it on your phone. Whatsapp will send the verification code to your friend’s phone. Step 7: Verify your account by the verification code sent to your friend’s phone. You have now installed exact replica of your friend’s account. Whatever he or she will do, you can track it with your phone. Useful for parents and lovers. Do not use it for illegal purpose. Hide your profile picture from others. Impersonators or spammers can download our pics and use it for illegal purpose. We should use this feature to hide profile pictures from public view. 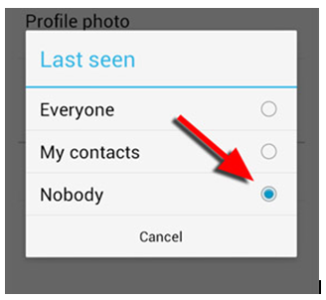 Step 1: Go to settings > Account > Privacy > Profile photo and Choose my contacts or nobody if it’s set to everyone. Step 1: Connect your mobile with your pc via USB cable. Step 4: msgstore-yyyy..dd..db.crypt file contains all the messages sent or recieved in last 7 days. Read your friend’s Whatsapp conversations. 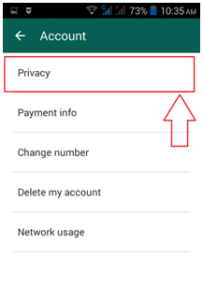 Step 1: Connect his/her phone to your PC via USB cable and navigate to the whatsapp files inside the folder named whatsapp/Databases. Step 4: Now Uninstall whatsapp on your own phone. Step 5: Move those copied files msgstore-YYYY-MM-DD.1.db.crypt and -msgstore-YYYY-MM-DD.1.db.crypt5 to your whatsapp/Databases folder on your second phone. 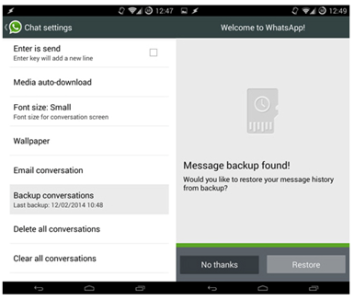 Step 6: It will ask to restore the files, when you choose restore from backup you will have your entire friend’s whatsapp conversation on your phone. Multiple whatsapp accounts on one phone. 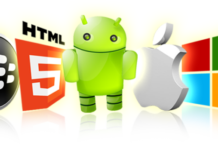 It may be that you have various mobiles with you and in that case a person tends to have more than one account. But once you lose or break the old phone, you always wish to use it in your favorite phone. It’s possible with help of an app. Step 1: Download and install the switchme app from google play on your phone. Step 2: Add accounts over it and run more than one account. If you have changed your SIM card with a different number, you won’t have to lose your existing account or create a new account. There's a setting in which it allow anyone to change their phone number. Step 1: Go to account settings and select change number. Step 1: First create a broadcast list from your contacts. Step 2: Once it’s ready, go to new broadcast and send message, it will be sent to all your friends at once. Note: The only condition for this to work is that the person in your broadcast should also have your phone number saved on their phone. 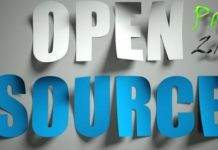 Most people wanted to view media and chats on their computer, but they are unaware of a shortcut that can send all the chat history and images, video to your inbox with one single click. Step 1: Just go to whatsapp and press any contact for more than few seconds until a pop-up menu appears. Step 2: Click on email conversation. Now everyone knows that we can send images, video and audio files via whatsapp. But what if we wanted to share other file formats? Yes, you can send large files of different file formats via whatsapp by following these simple steps. 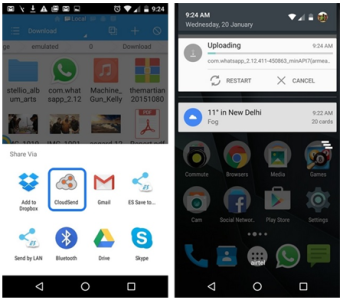 Step 1: Download and Install the Dropbox and CloudSend Apps from Google play store on your phone. 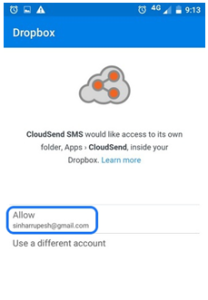 Step 2: Open CloudSend and allow the link to Dropbox. Step 3: Share the file on Cloudsend, the file will get automatically uploaded to your Dropbox account and you will get a link to that file. 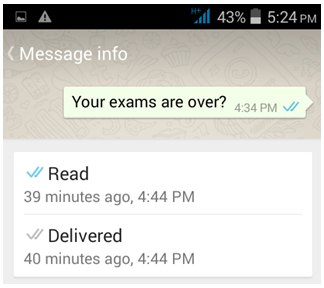 Open the file manager app and choose the file you want to send through WhatsApp. Press hold on the file and tap “Share” and choose CloudSend. This will upload your file to the CloudSend folder on Dropbox. 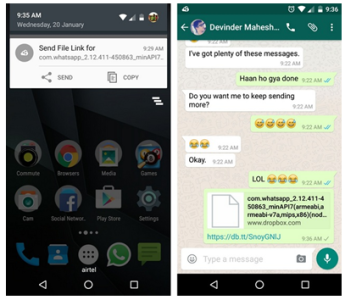 Step 4: You can Share this link to your friends on WhatsApp and they will be able to download the file. 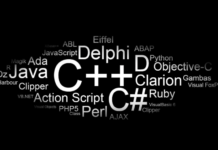 Send bold, italics or strikethrough text. Normally WhatsApp photos and videos show up in your phone gallery. So, your personal photos and the app photos got mixed up. This is pretty annoying, but as a to restrict the images from appearing on your phone gallery. Step 1: First you need to install an app called ES File Explorer on your device. 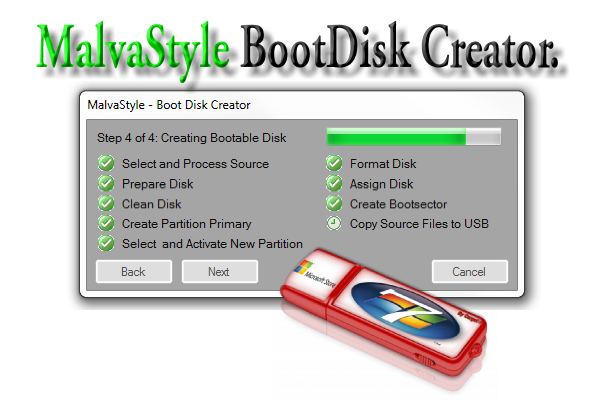 If you have it installed already then you can check the next step, otherwise download it from the link given below. Step 2: After installing the app open it and go to the images or videos folder and then tap the new button from lower left. Step 1: Open Settings and then tap on Privacy. Step 2: Tap on Photos and toggle off the WhatsApp Option. You will need a PC and an Android emulator app like Bluestacks to run a fully fledged Android built right on your PC. After you’ve installed the emulator, you can set it up like you would do on an Android device and then, you can install WhatsApp as well. When WhatsApp verifies your number, you can simply enter the code from your phone.